“Pretend,” we instruct our students, “that you have been hired by Fresno City to make postcards, visuals that capture and represent the city, its history, its people, its spaces.” “Now,” we continue, “do your best to draw some postcards.” They dutifully scribble lines that look like City Hall, the historic Warnors Theater, the Fresno arch and the Christmas Tree Lane in the Fig Gardens neighborhood. The more skilled and adventurous students draw portraits of elected officials and Fresno State’s President Joseph Castro. Despite our students’ ethnic and geographical diversity, they tend to depict and reflect a top-down version of both history and the city. Yet, in more casual conversations, students clearly have an intimate understanding of a different Fresno. The Fresno of their lived experiences is populated by diverse neighborhoods from the working-class, African-American West End, to Hmong enclaves in Southeast Fresno, to the sprawling middle-class neighborhoods perpetually retreating further and further north from downtown. Theirs is a Fresno of concerts at The Rainbow Ballroom and Strummers, monthly treks to downtown for Art Walk, backyard house parties on warm summer nights throughout the city, first kisses at the Fresno Fair, and searching for a decent late-night meal after a night of cheering their high school football team during clashes against city rivals. We arrived to Fresno State in the summer of 2016. As Fresno State’s new public historian, Romeo Guzmán founded the Valley Public History Initiative: Preserving our Stories. Using South El Monte Arts Posse’s award-winning public history project East of East: Mapping Community Narrative in South El Monte and El Monte as a model and professor Sean Slusser’s experience researching hip-hop culture and organizing hip-hop-centric public history events, we launched Straight Outta Fresno: From Popping to B-boys and B-girls. With Straight Outta Fresno, we worked to document a specific slice of Central Valley history and to subvert the traditional approaches to documenting and displaying history by creating a community-centered cartography of place. Our first efforts at this cartography of place began with a historiographic afterthought; it is not uncommon for books and articles dedicated to hip-hop culture to devote anywhere from a few sentences to a couple paragraphs acknowledging Fresno as the birthplace of popping, a genre of dance that eventually was absorbed into the broader category of breakdancing. However, while many of those same texts included detailed analysis of hip-hop culture’s relationship to the specific socio-economic and cultural conditions of communities such as the South Bronx, Fresno’s contributions to hip-hop culture were treated as the unlikely answer to a hip-hop trivia question. Missing was any discussion of how and why the dance emerged from the literal and figurative fertile soil of California’s breadbasket. As such, we sought to develop a public history project that would attempt to answer questions about Fresno’s hip-hop history by providing community members institutional space to document and discuss their history. Within a few months of meeting and talking with community members two things became clear: 1. Fresno popping pioneers were innovative youth of color who navigated a sophisticated cultural network up and down the I-5 corridor and 2. succeeding generations of Fresno youth built their own local and statewide networks in support of a new generation of hip-hop innovators: b-boys. In both cases, it was clear that Fresno youth in general, and youth of color in particular, actively shaped a city and regional identity through dance, but did so with a chip on their shoulder born of dismissive attitudes towards Fresno and fewer resources than their contemporaries in Los Angeles and the San Francisco Bay area. Professor Sean Slusser and Romeo Guzmán, with b-boys Gary Yang of Wizards Crew and Yoshi Yang of DIS/Climax Crew. During our first year in Fresno, we worked with graduate and undergraduate students to conduct 30 oral histories, organize two public panel discussions–one on popping and one on Hmong b-boys, attended by approximately 140 community members–host an open b-boy cypher, and publish a total of five essays on Artbound and Tropics of Meta. None of this would have been possible without the guidance and collaboration of our community partners, including local b-boy legend Charles “Goku” Montgomery, who helped connect us to the local hip-hop community; Gary Yang, who further connected us to the pivotal Hmong b-boy community; Tony Carranza and the folks at Dulce Upfront, who helped design our flyers and promote our events; our media partners Tropics of Meta; and countless others who gently pushed us when we were heading down dead-end paths and dedicated their time, energy and stories to further flesh out Fresno hip-hop history. 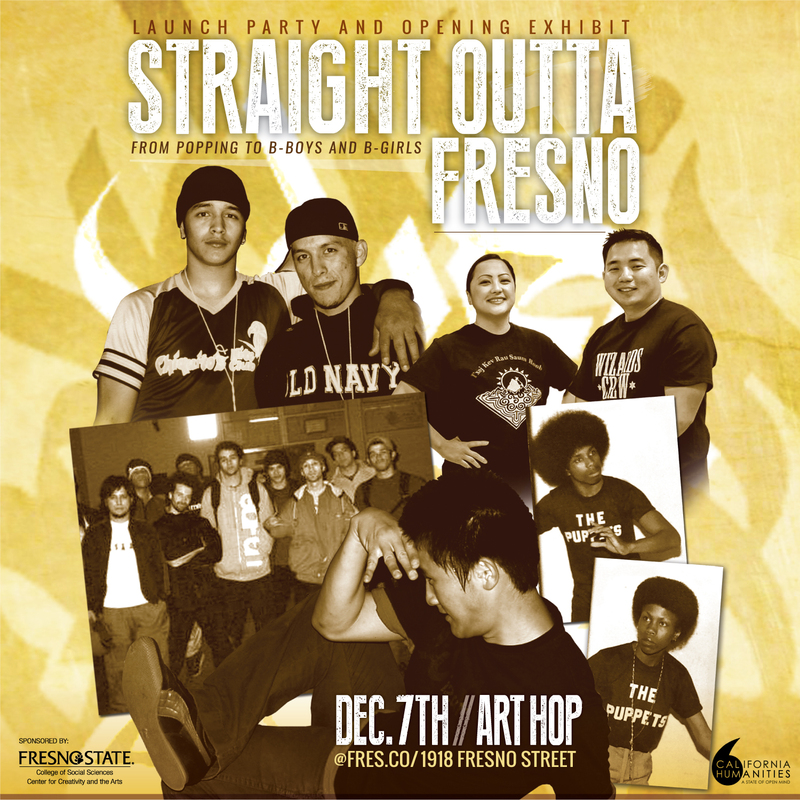 We are proud that Straight Outta Fresno is a public history project that genuinely privileges the public. 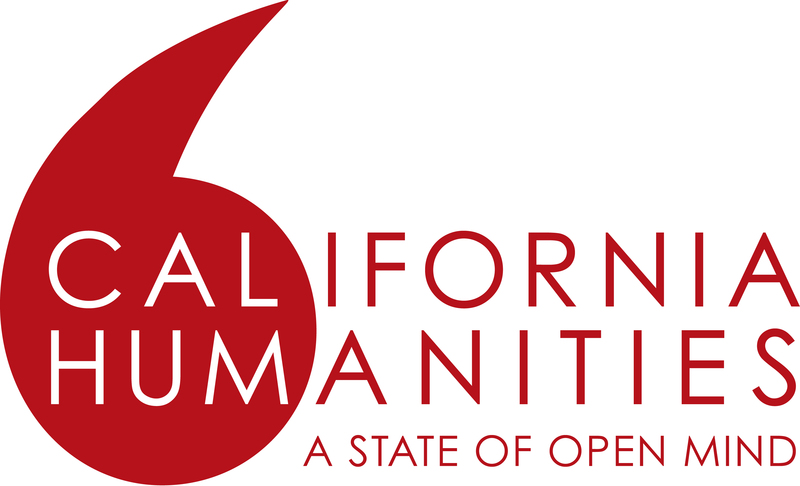 With generous funding from a California Humanities “Humanities for All” grant and with the support of our community partners FresCo and Topics of Meta, we will expand on these efforts over the course of the 2017-2018 academic year. Our first event will be a free exhibit launch party on December 7th at FresCo. Next, we are inviting winners of the “Battle of the New Year” to be hosted December 27 at Fresno’s Hmong New Years Festival and winners of our own battle taking place February 3rd at Fresno’s iconic b-boy spot, Holmes Park, to a final battle at Fresno State that will include an exhibit and a panel discussion featuring multiple generations of Fresno hip-hop dancers. Each event will include on-site walk-in oral histories and photo digitization with all materials being uploaded to our archive. Throughout the year, we’ll invite scholars and writers to dig into the Straight Outta Fresno archive and write short, accessible essays for our new series “South of Shaw: Hip-Hop Culture in Fresno.” Monique Quintana’s “Womb Geography” opens the series by situating readers in Fresno’s racial and gendered cartography; other entries in the series include Naomi Bragin’s essay on Deborah McCoy, a dynamic woman whose dance experience started in 1970s West Fresno and lives on in her current hip-hop dance studio; Cutler Edwards’s essay on pioneering Hmong b-boy crew, the Bumz; Sean Slusser’s profile of legendary Fresno b-boys, Charles “Goku” Montgomery, and the late Pablo “B-boy Pablo” Flores, and their Climax crew; and Joseph Orbock’s essay on the Tachi Yokut popper Roger Martinez Sr.
By conducting oral histories, digitizing photographs, hosting panels and dance battles, and curating the archive into essays and exhibits, we aim to inspire community members, students, and scholars to re-imagine Fresno’s cartography and place within the larger history of hip-hop. In the future, when we ask Fresno State undergraduates to draw postcards representing the city, we hope that they’ll intuitively scribbles lines that look like Fresno’s First Corinthians Baptist Church, the Tulare Housing Projects, Holmes Park, working-class garages, and countless other mundane but historically significant spaces across the city. We can’t do it without your help. While we’ve conducted oral histories and started to place some of these dots on the map, we know we’ve only scratched the surface. In addition to the numerous crews, dancers, and battles we’ve heard mentioned in oral histories and casual conversation, there are countless others who contributed to Fresno’s rich hip-hop history but who we have yet to meet or hear about. If you are one of those people, or if you know them, knock the dust of your shell top Adidas, break out that air-brushed t-shirt, dig out that shoebox of old photos, flyers, and mixtapes and hit us up; together we can create a new cultural cartography of Fresno!